Welcome to my stop on the Made for Baby Blog Tour! 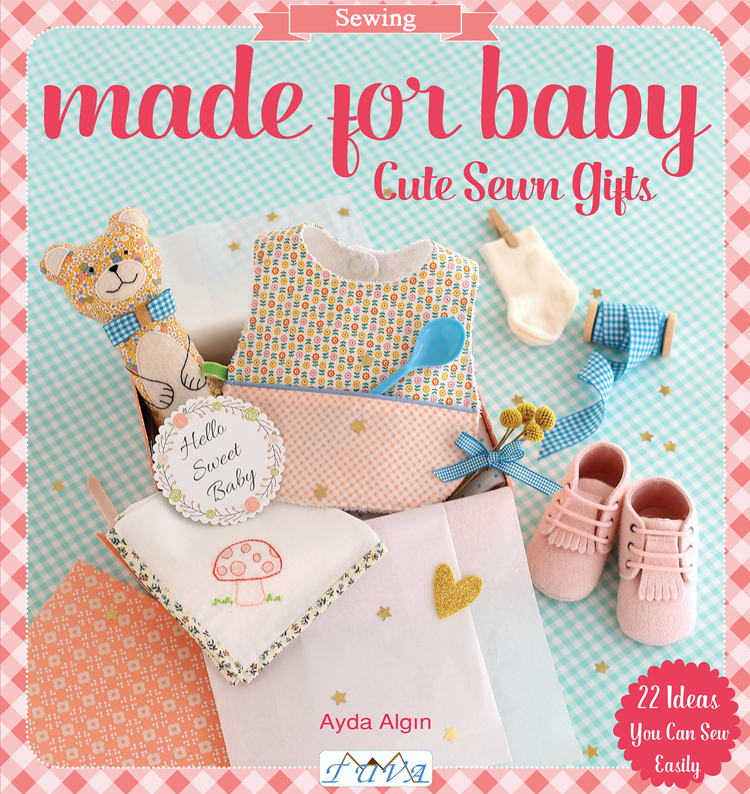 Made For Baby – Cute Sewn Gifts is the latest creative endeavour from Ayda Algin of Cafenohut, for Tuva Publishing. What a delight it was to flip through the pages of Ayda’s book for the very first time, and see page after page of sweet baby gift ideas; all exquisitely made! Not only are the projects adorable, but the photography is stunning, and Ayda’s eye for detail can be seen on every page. My daughter saw me admiring the beautiful book, and coyly asked if I had news to share! Um…, NO! LOL!! But that’s okay, because one of the great things about this book is that while the projects have been designed with babies in mind, there are many projects that can easily be adapted for other purposes – (AWESOME!! – my baby days are long gone ;). There are 22 projects in the book – here are three that I made! 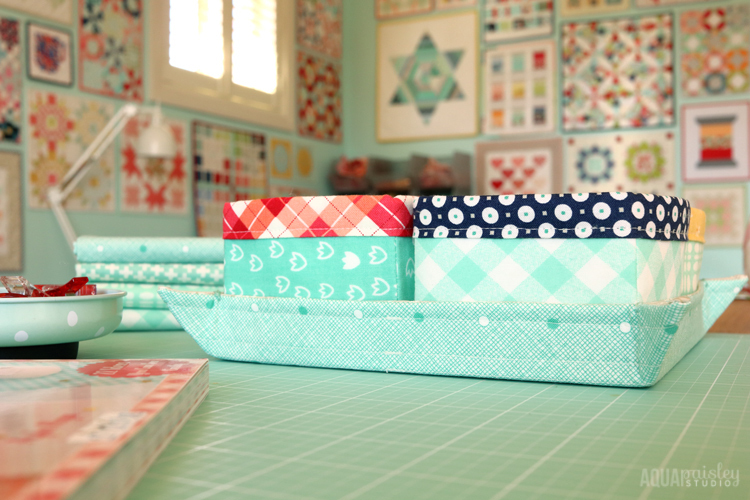 The Cute Fabric Boxes were a delight to make, and are perfect for so many applications. After making these, my mind was whirling with ways I could adapt the pattern to custom make organising boxes for all my drawers. 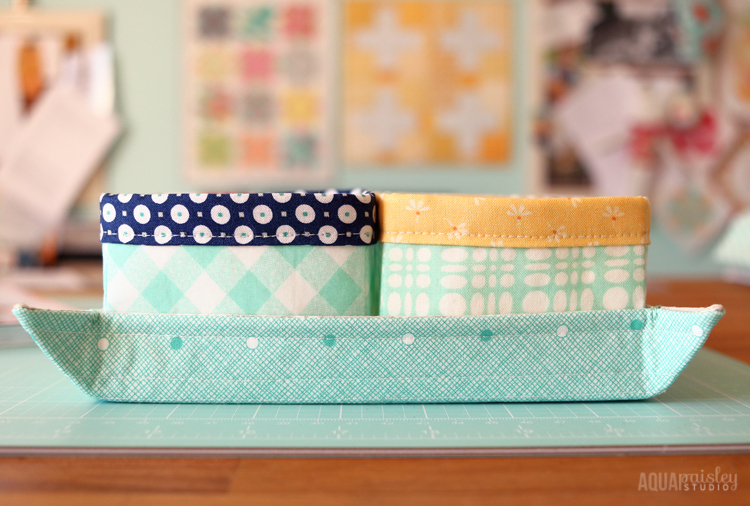 The fabric tray makes for a great way to corral the boxes, and would be a quick and easy base to make whenever you want to create your own gift basket. It is a great scrap busting project too! 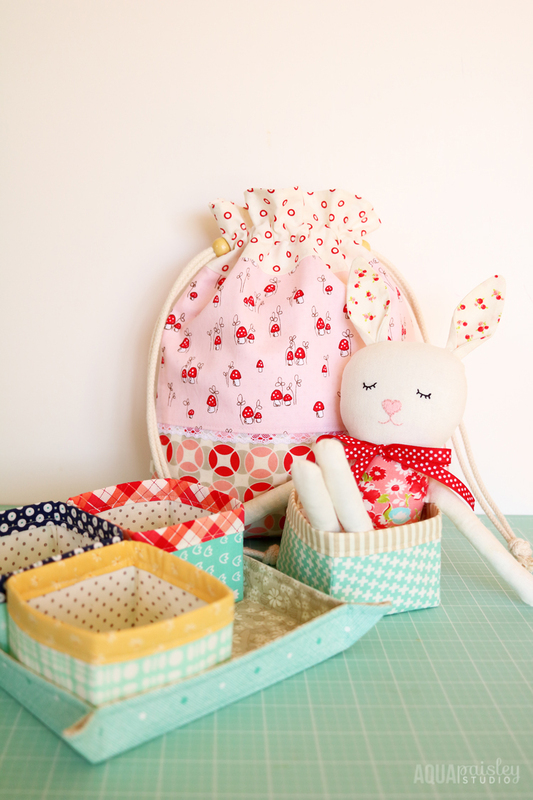 While the boxes were delightfully simple, I decided to challenge myself by making Ayda’s sweet little Rabbit Soft Toy. I have never sewn a softie before, so this project took me a little more time, but it was still a relatively quick weekend project. Ayda’s original rabbit uses safety eyes to give the rabbit its face, but since I didn’t have any on hand I decided to use an archival pen and draw some eyes myself – let’s just say that something went terribly wrong!! Although I used water and fade proof pigment ink, the ink smudged on the linen cloth, and trying to gently ‘wash’ the smudge gave my poor little rabbit, ‘panda-eyes’ – it wasn’t pretty, and I was totally bummed, because up until then, I thought she looked so cute – LOL! After some minor surgery (if you can call a face-lift, minor surgery ;), I opted for some simple embroidery details to finish the face. Embroidery is not my strong suit, but I still think she turned out sweet! And after making this cute little thing, I might even consider trying my hand at more soft toys in the future :). 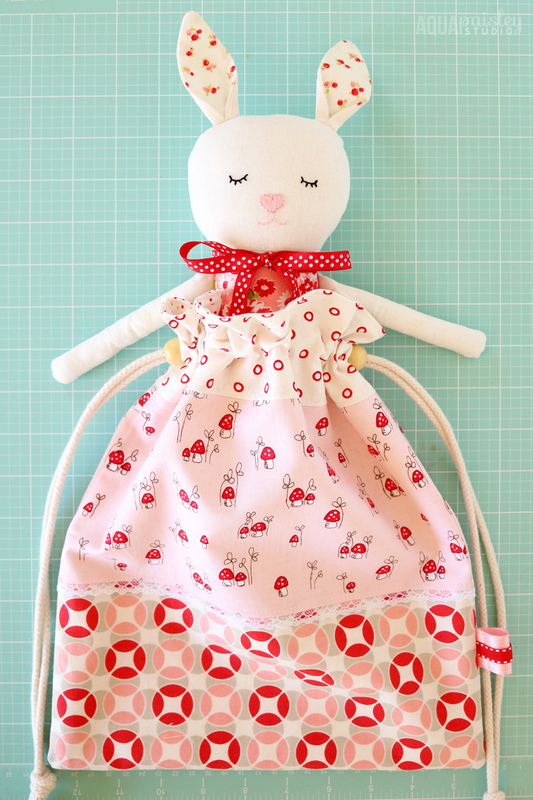 The Draw-String Bag was another fast finish and it makes the perfect gift bag (or little rabbit sleeping bag ;)! Ayda uses lace, ribbon and beads to give the bag a special touch, and it is these little details that really make the project fun! Ayda also designed the original bag with some simple circle applique details on the base, but I didn’t want anything to compete with the fabric I chose for my base, so I left them off . Lisa @aspoonfulsugar also made the cutest boy version of the draw-string bag – I am in love with her fabric choices, and if you click through to her website you can see how cute the addition of those circles truly are!! 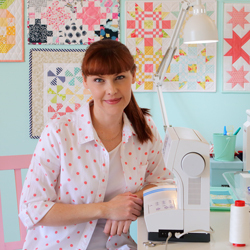 A big thank you to Ayda and the Tuva team for inviting me to participate in this blog tour – I have had so much fun sewing projects from the book! 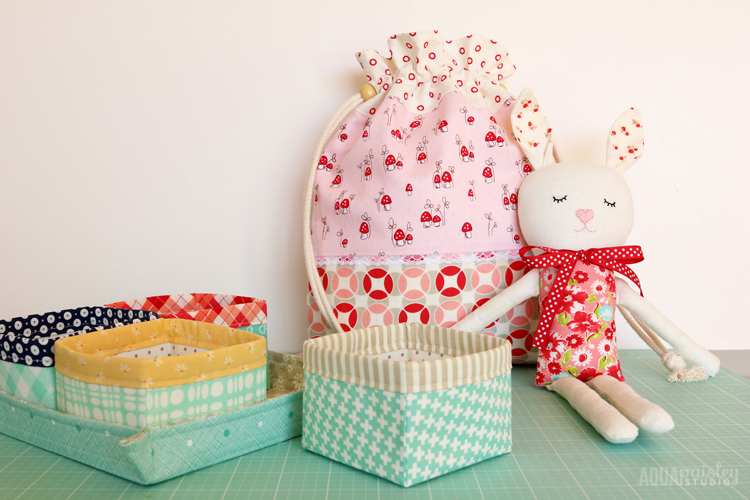 The blog tour is coming to an end, but if you would like to see more from the book and look back at some of the cute projects that other makers have shared over the past month, then take a look at their blogs. 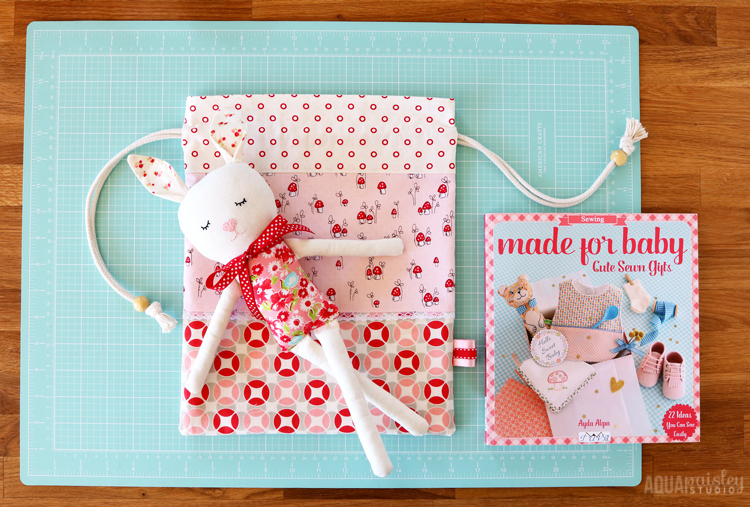 You can also check out the #madeforbabyblogtour #madeforbabycutesewngifts #bebeklericinsevimlidikisler #madeforbabybook or #tuvapublishing hashtags on Instagram. If you would like a chance at winning your own copy of this gorgeous book, then head on over to Ayda’s blog this weekend – she is hosting a giveaway that will be announced on Monday :). Ohh! Such a beautiful book review ! I really love your all creations . Thank you so much for your all lovely words and great descriptions. I am so happy that you liked my book and being with us. Your projects are gorgeous! Your sweet bunny is adorable – I love her embroidered eyes – a real feature.